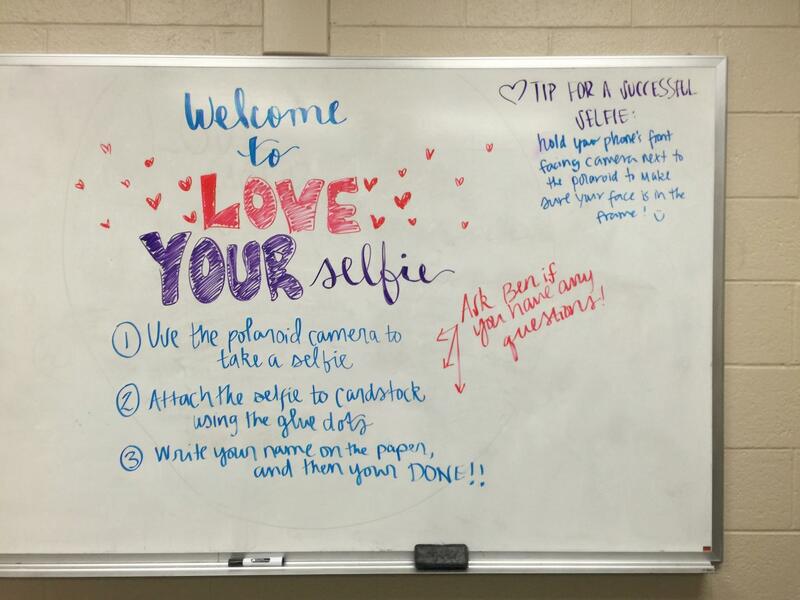 CMU Students Learn How to #LoveYourSelfie | Grand Central Magazine | Your Campus. Your Story. Central Michigan University students ended the month of February by practicing self-love and acceptance at Sweeney Hall’s #LoveYourSelfie event. This served as a part of CMU’s “Be-YOU-tiful Week” of programs. The program, planned by Sweeney Hall Residential Assistant Ben Sobczak, teaches the importance of recognizing the beauty within ourselves through self-reflection activities. To begin, a video was played that highlighted the pressure we, as humans, put on ourselves to look a certain way. Junior Kathleen Trombley stated that the video was her favorite part of the evening, and said it was the most impactful. Each student took a selfie using the given camera, and pasted it on a piece of paper. The papers were hung on the wall, and participants were invited to write compliments and kind words about each student. 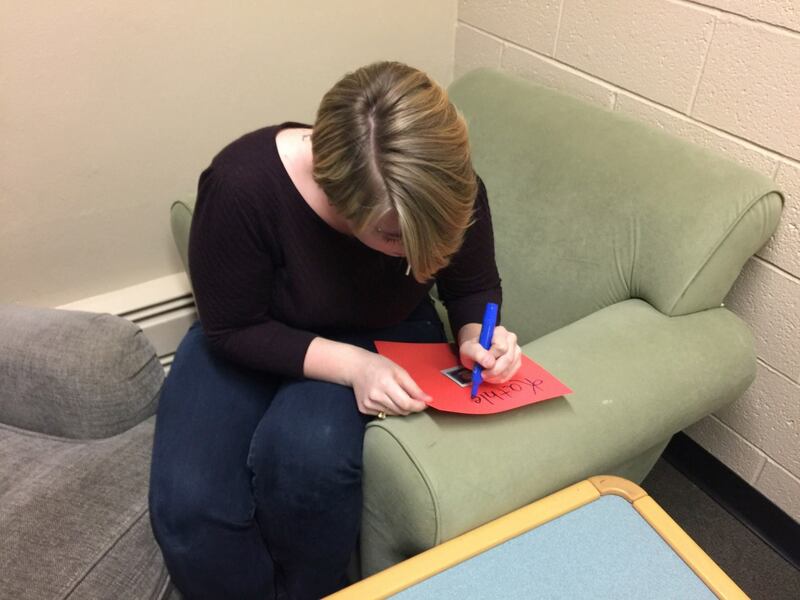 Sophomore Lindsay Schryver appreciated the activity, and told of the importance of loving oneself. As far as future programs, Schryver is more than ready to attend. Separator image Posted in Campus, Campus Life, Events, Students and tagged with #LoveYourSelfie, Campus Life, Mark Heideman, Sweeney Hall.